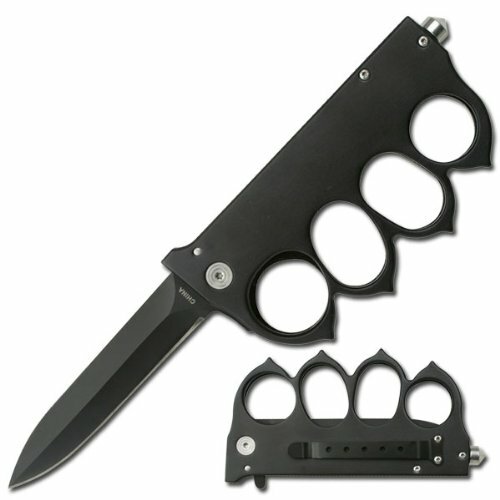 When you want to inflict as much damage as possible on someone or something, first seek psychological help, if that doesn't work, you're going to want to purchase the tactical brass knuckles knife. The knife has a fast acting spring assisted blade deployment, measures 8 5/8 inches long when open and is constructed of steel. 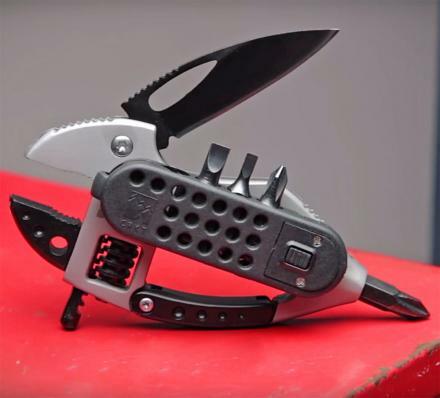 Just incase of emergencies, the bottom of the knife also features a skull crusher.